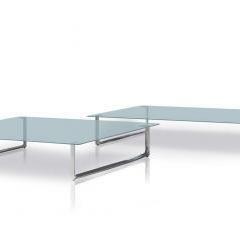 An asymmetric table made of various elements: from each angle you look at it, the table shows a different personality. 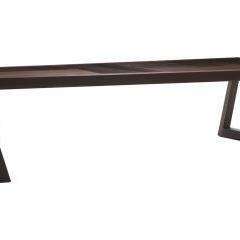 The top and frame are made from solid lamellar beams in smoked chestnut or European maple veneer. 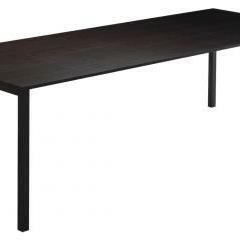 Square or rectangular table with fixed or extendable top in natural oak, smoked oak, American walnut, white or black stained ash wood. Stability is ensured by an internal anchoring system nested in the thin supporting aluminium legs wrapped in wood. 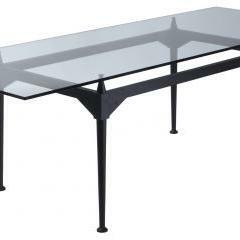 Square or rectangular side tables with steel or glass tops. The original table project designed by Albini in 1953 sparked off the idea of reintroducing a series of tables in different shapes and sizes, with different finishes. Small table with frame and top in natural ash wood or ash wood stained black or American walnut. Trestle table with frame and top in natural ash wood or ash wood stained black or American walnut. The assembly is by means of screws and two dark brass pulleys which ensure the stability of the frame. 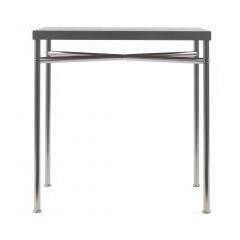 The first table in this series was designed by Charlotte Perriand in 1938 for her studio in Montparnasse. The model identified by Cassina as the most suitable for modern living spaces was on show at an exhibition at the Petit Palais in Paris in 2011 and is now being re-released. 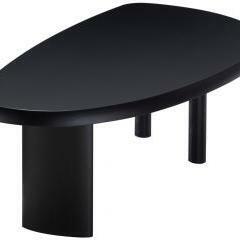 The table is in solid oak and has a rounded surface. From Charlotte Perriand's enthusiasm for the colour comes this system of five occasional tables in which each size is matched to a colour. 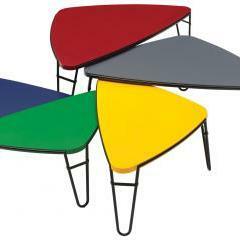 The table tops, triangular in shape with rounded corners, are lacquered in the colours: red, grey, yellow, green and blue. 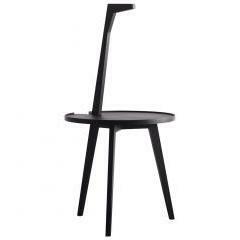 The sinuous structure, which seems to have been designed with a single stroke of a pencil, is in opaque black metal. 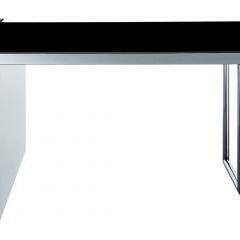 Table, extendable to the desired length (maximum 300 cm. 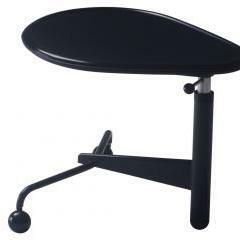 ), by slide-in panels on special support glides. 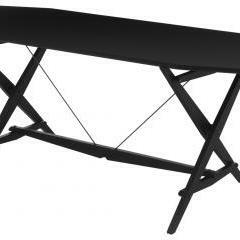 - top covered in washable, black special material. 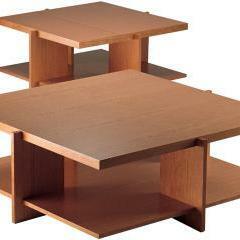 Low square tables in natural cherry wood, stained walnut or stained black. 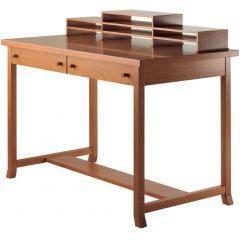 Writing-desk equipped with two drawers and rack in natural cherry wood, stained walnut or stained black. 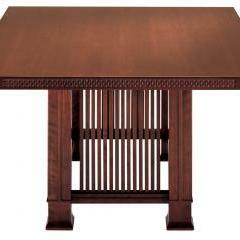 Rectangular table in natural cherry wood, stained walnut or black. Fret designed on the edge of the top. Four legged base with slats.